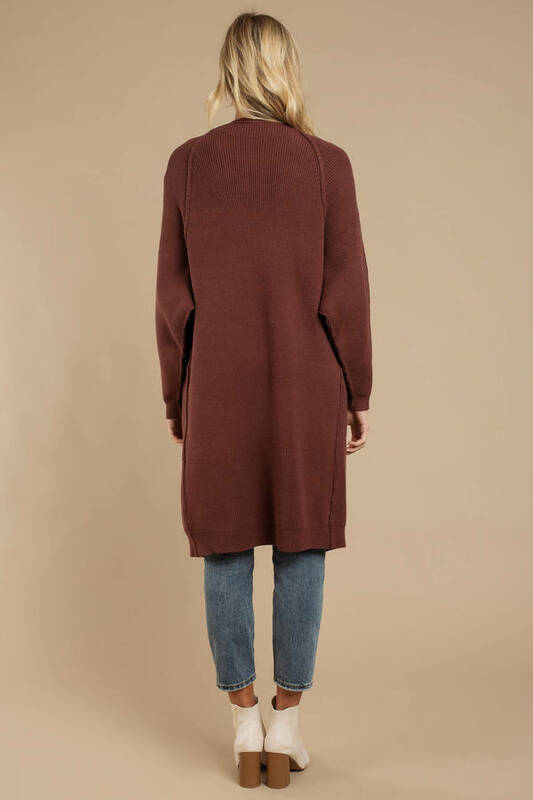 Check out Tobi's Irreplaceable Longline Cardigan Take a cool autumn stroll in Free People's Irreplaceable Plum Longline Cardigan. Achieve that oversized look with this cable knit cardigan, featuring a slouchy fit, ribbing, and open front with a single button. Pair this chic long cardigan with a midi dress and booties. Take a cool autumn stroll in Free People's Irreplaceable Plum Longline Cardigan. Achieve that oversized look with this cable knit cardigan, featuring a slouchy fit, ribbing, and open front with a single button. Pair this chic long cardigan with a midi dress and booties.